Meanwhile, Tusk has urged EU member states to offer Britain a flexible extension of up to a year to make sure the nation doesn’t crash out of the bloc in a chaotic and costly way. Two EU officials, who requested anonymity because they weren’t authorized to disclose information before it was made public, said that Tusk wants a one-year “Flextention” and get it approved at next Wednesday’s EU summit. 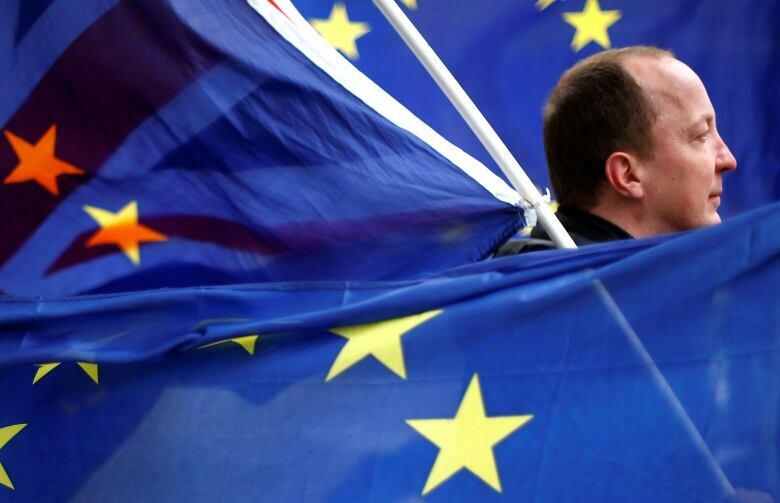 Such a move would mean that the U.K. needs to take part in the May 23-26 European elections — something which May has long argued against but said in her letter that Britain will make contingency plans to participate in if no Brexit deal is reached in the interim. May said she is making these preparations even though she believes it’s not in Britain’s interest or the European Union’s interest for Britain to take part in the elections because it is a departing member state. May said she “accepts” the EU position that if Britain hasn’t left the 28-nation bloc by May 23, it will have a legal obligation to take part in the elections. The prime minister said she is still hopeful of reaching a compromise agreement that could take Britain out of the EU before that time.